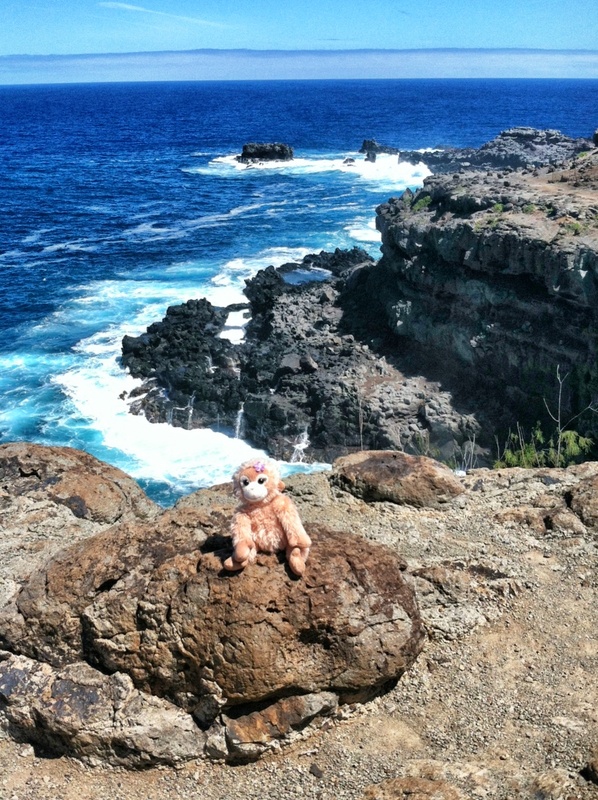 On a day of touring about Maui, Missy visits the famous Blowhole at Nakalele Point on the western side of Hawaii. 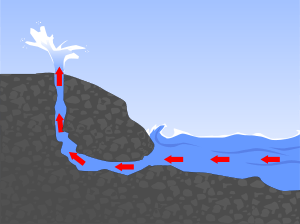 Depending on the size of the waves and the tide, the blowhole produces a powerful, geyser-like spray of water that can rise as high as 100 feet in the air. The blowhole “blowing” on a relatively calm day at Nakalele Point. Visiting the blowhole too close can be quite dangerous. In 2011 a California tourist (pay attention Missy) was swept into the blowhole by a large wave and never seen again. 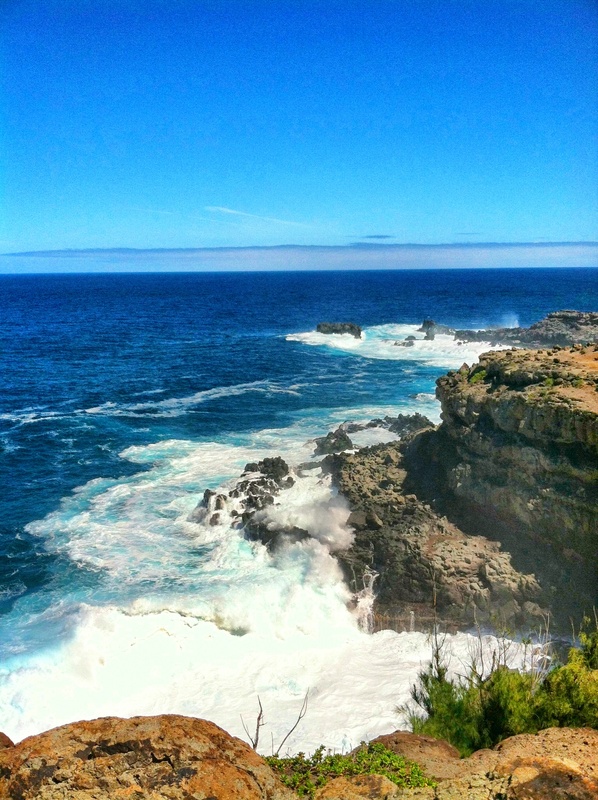 You can get to the blowhole by following Honoapl’ilani Highway (Hawaii Route 30) north from Kapalua. You can see the blowhole from the road, which is the safest viewing area. There is a path you can take but if you go, leave the flip-flops behind and wear good hiking shoes and be careful as it is a steep path. 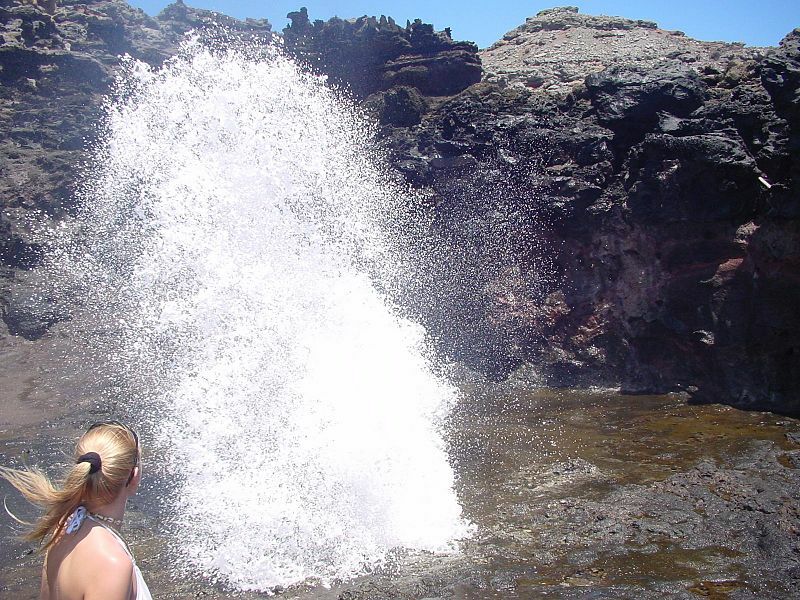 Don’t get too close to the blowhole because the eruptions are unpredictable. 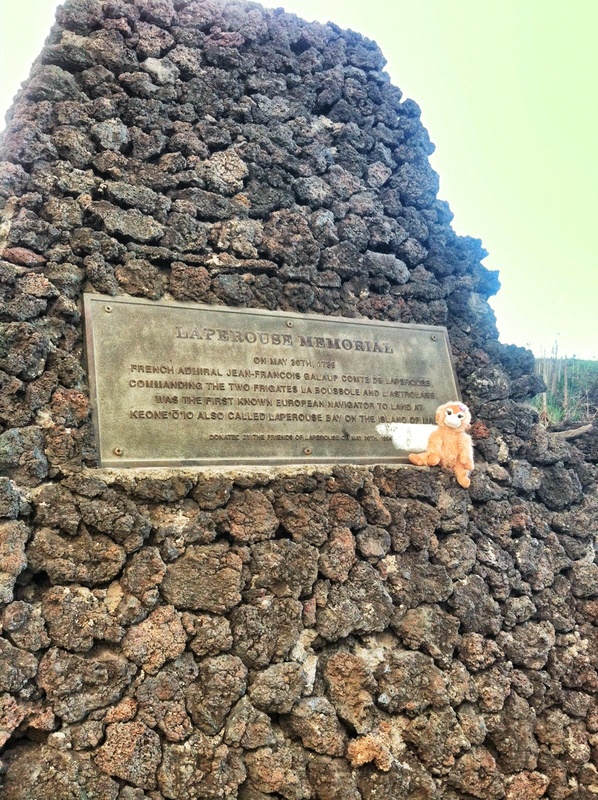 Missy also took time to visit the memorial to French Admiral Jean-Francois Galaup Comte de la Perouse who was the first European navigator to land on Maui. Commanding two frigates, la Perouse sailed into the bay named after him on May 30, 1786. The monument stands on a lava field at the edge of the bay located at the southern side of Maui. La Perouse went on to visit Easter Island and other islands in the Hawaiian chain before also visiting Botany Bay in Australia. He was lost at sea while searching for the Solomon Islands. Have you made it along the road to Hana yet? it will be breathtaking! Well, Mrs. Kongo and Missy are in Maui today but are heading to Oahu tomorrow so I don’t think they’re going to make it to Hana this time. If Kongo had been there, they would have spent less time walking and shopping and more time on the road to Hana, but whatcha gonna do with a girl monkey? Hi, Moni! Thanks for checking in on Missy and giver Violeta a hug from the Kongo’s! Best.